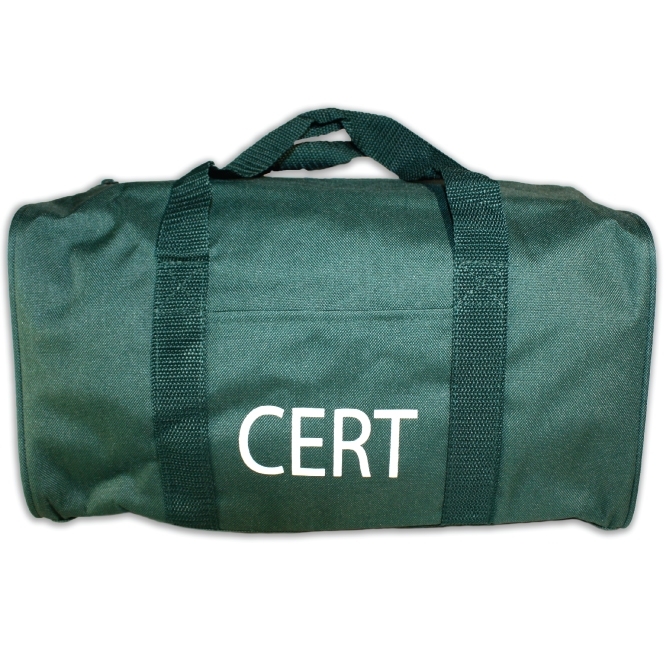 Green mini gear bag with CERT letters printed in white. 14.5" x 8" x 8". Durable water resistant 600 denier polyester. Features handles and front pocket.